When you retire in Thailand you should be aware that you are able to receive your money while abroad. Thailand is no exception. We have listed some of the finer things with regards to pensions in Thailand. The U.S. and the U.K. have similar ways of dealing with their own retirement plans although there are a few significant differences. Both countries provide retirement benefits paid out of an account built up during the years of employment by citizens making contributions based on their income. The U.S. calls this Social Security while the U.K. calls it State Pension. 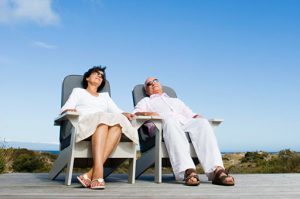 In both countries, the amount of the benefits paid out at retirement is based on the number of years contributions were made into the account as well as the amount of the contributions. In both countries, the benefits are paid out at a rate that depends on the number of years contributions have been made, the amount of those contributions and the age of the person claiming the benefits and a claim must be made before benefits are paid. Neither Social Security nor State Pension is automatic – a claim must be made and such a claim can be made at a designated retirement age or at an earlier age, although this can result in lower distribution payments.